Trafalgar Square, the largest square in London, is often considered the heart of the city. 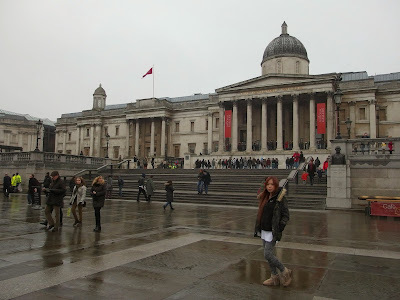 Ever since the Middle Ages, Trafalgar Square has been a central meeting place. At the middle of the square stands a tall column honoring admiral Nelson. The square was originally called Charing. Later it became known as Charing Cross, after a memorial cross on the square. The Tube (“nearby underground subway station”) is still named Charing Cross. 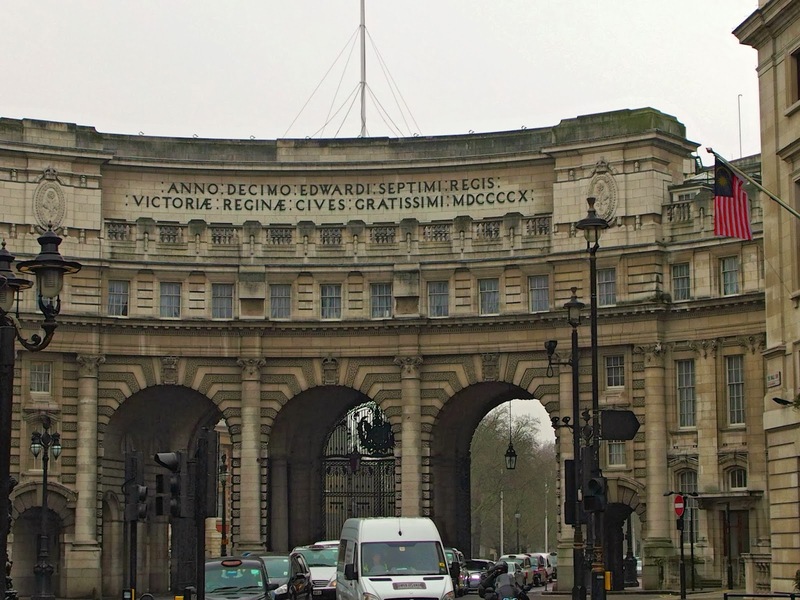 From the thirteenth century on the area was the site of the King’s Royal Hawks and later the Royal Mews. In 1812 the Prince Regent – who would later become King George IV – asked architect John Nash to redevelop the area. After much delay, work finally started in 1830. Nash had the terrain cleared but he died before his plans were realized and works were halted. The completion of the National Gallery in 1838 on the north side of the square reignited interest in its redevelopment. A new design by architect Charles Barry which consisted of two levels separated by a monumental flight of stairs was approved and construction started in 1840. Charles Barry was best remembered for his rebuilding of the Houses of Parliament – also known as the Palace of Westminster. Five years later, the square was eventually completed. 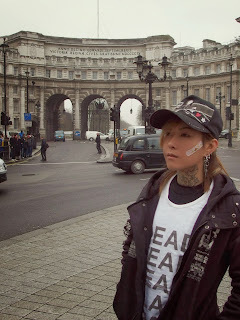 In the center of Trafalgar Square stands London’s most famous monument: Nelson’s Column. The monument was built in 1843 as a tribute to Admiral Horatio Lord Nelson, who defeated the French fleet at the Battle of Trafalgar. The name of the square commemorates the victory of Admiral Horatio Lord Nelson over the French fleet at the Battle of Trafalgar on the 21st of October 1805. Initially there were no plans for a statue in honor of the admiral. Instead, a statue of King William IV was planned. Eventually, in 1838, it was decided that Trafalgar Square was the ideal place for a monument to Britain’s most famous admiral and a competition was organized to select a design for the ‘Nelson Testimonial’. The winner of the competition was William Railton, who proposed a 52 meter tall Corinthian column and statue. The column was built between 1841 and 1843. On top of the column stands an 15.5 meter tall statue of Lord Nelson, created by Edward Hodges. At the base of the column are four huge lions modeled by Sir Edwin Landseer. They four lions were added later on, in 1868. In the four corners of the lower level of Trafalgar Square stand four plinths. The plinth in the north-east carries the equestrian statue of George V, installed here in 1843. The statue of the king was created by Francis Chantrey for the Marble Arch but was instead placed here. In the south-west corner stands a statue of Charles Napier, a military leader best known for his time as commander-in-chief in India. The statue, by George Gamon Adams, was installed in 1856. On the western side is the statue of Henry Havelock, another military leader who spent much of his career in India. His statue was created in 1861 by William Behnes. For over 150 years the plinth in the north-west corner of Trafalgar Square, commonly known as the ‘Fourth Plinth’, remained empty. It was intended to hold an equestrian statue of King William IV. A failure to gather sufficient funds for its construction meant it was never realized. In 1999 it was decided to use the plinth for the temporary display of modern sculpture. 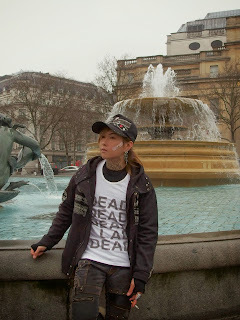 There are several more statues in and around Trafalgar Square. 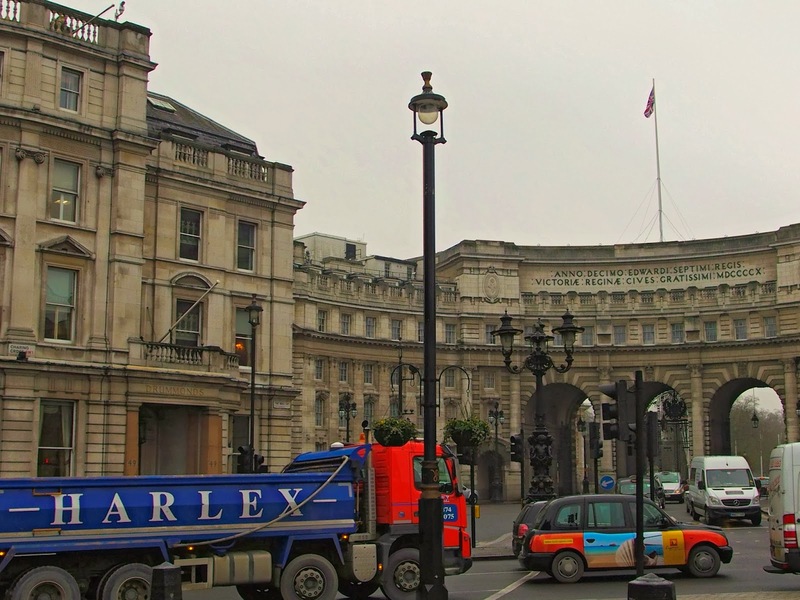 The most interesting is the equestrian statue of King Charles I, which occupies the middle of a small traffic circle just south of Nelson’s Column. 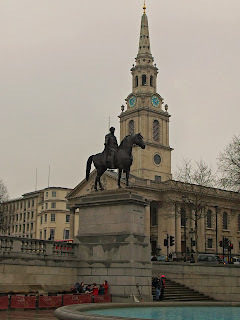 It is the oldest equestrian statue in London, created in 1633 by the French sculptor Hubert Le Sueur. After the execution of Charles I in 1649 the Parliament ordered the statue to be melted down. The brazier assigned with this task instead hid the statue and sold it back to King Charles II after the English monarchy was restored. The first fountains at Trafalgar Square were installed as part of its development in the nineteenth century. 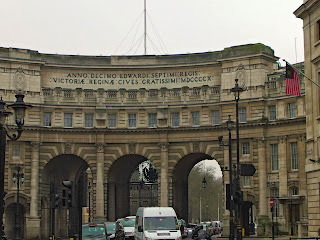 They were replaced by the two current fountains, created in 1939 as a memorial to David Beatty and John Rushworth Jellicoe, admirals of the Royal Navy. The fountains were designed by architect Edwin Lutyens and are decorated with sculpture of dolphins, mermaids and small sharks. On the north side, the neoclassical National Gallery, built between 1834 and 1838, overlooks Trafalgar Square from its elevated position. 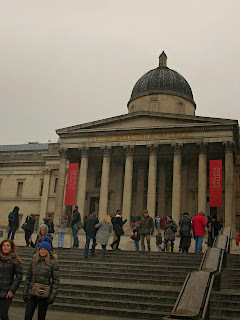 The National Gallery is one of London’s most important museums. It has an impressive collection of paintings covering the period between 1260 and 1900. Home to an impressive collection of paintings spanning six centuries, you can admire works from some of the world’s most famous painters, including Rubens, Vermeer, van Gogh, Titian, Leonardo da Vinci, Michelangelo, Renoir, Claude Monet and more works from virtually all other renowned artists of the era. The neoclassical building that now houses the museum was completed in 1838 after a much-criticized design by English architect William Wilkins. It was built at the then still to be developed Trafalgar Square, which had just been cleared. Plans to replace the building were never realized and in 1876 the museum was expanded with a new east wing. In the mid 1980s plans for a new expansion were launched, but the modern design faced so much opposition – most notably from the Prince of Wales – that it was shelved and replaced with a more conventional building, known as the Sainsbury wing. Over the years, the collection expanded so much so till it is now considered to be one of the most prestigious all over Europe. 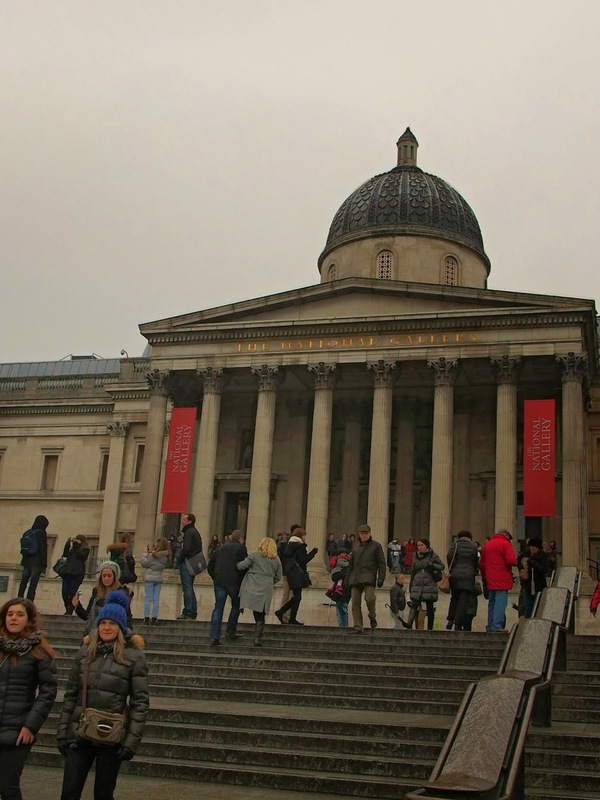 Over 2300 paintings are now on display in this monumental building, at Trafalgar Square. At the north-east corner of Trafalgar Square is one of London’s best-known churches: St. Martin-in-the-Fields parish church. It is one of the most famous churches in London, partly thanks to its prominent location at one of the busiest areas in the city. The design of the eighteenth-century church has had a profound impact on ecclesiastical architecture around the world. The church, with a large white steeple neoclassical portico, was built in 1721 by James Gibbs and was used as a model for many churches, particularly in the United States. It is the fourth church at this site; the first was built in the thirteenth century. At the time this area was still rural, hence its name.